There were many, many questions that were left unanswered by the end of Star Wars: The Force Awakens. Why did Luke Skywalker go running off? Why did R2-D2 wake up at the perfect moment? How did Han Solo and Princess Leia create such an emo whiner as their offspring? However, no question has so engaged Star Wars fans as the mystery of exactly where Rey came from. Daisy Ridley finds so many people questioning Rey’s parentage to be quite curious, as she doesn’t think the answer really matters. Speaking with MTV as part of the MTV Movie Awards, Daisy Ridley was asked if she, in fact, knew who Rey’s parents actually are. As it turns out, she does, but she doesn’t really find the answer to the question to be all that important, because what matters for Finn and Rey isn’t where they’ve been, it’s where they’re going. I think the amazing thing about [Episode VII] is that Finn and Rey don’t come from anywhere, and they find a place. So to me, it’s funny that people think it’s so important because I don’t really think it is. Of course, she doesn’t find the answer important, because she already knows it. If she was still wondering like the rest of us are she might be singing a different tune. Joking aside, we can understand what Daisy Ridley is talking about. Ultimately, the new Star Wars trilogy is about what these characters are going to do now, not what happened to them previously. One certainly hopes that these movies are showing the most interesting part of these characters’ lives. If not, we’d rather see those movies. However, while Daisy Ridley may not care so much about where Rey comes from, those responsible for producing the films do understand that this is an important question that fans want answered. Colin Trevorrow, the director of Star Wars: Episode IX has said that he understands the importance of Rey’s character and has promised that the answers about who Rey ultimately is will be important, because Rey as a character is important. Of course, the fact that these words came from the director of Episode IX implies that we may not get all of our answers until then. In the meantime, fans will be throwing out theory after theory about who Rey is and who her family is. 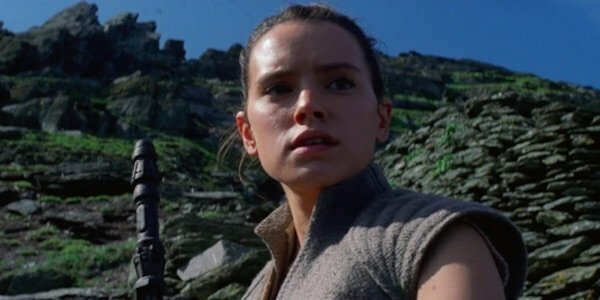 If you can name a character within the Star Wars universe, there’s probably a theory connecting that character to Rey’s family tree. Everybody named Skywalker, Solo, and Kenobi has been mentioned as a possible mother or father. Even Jyn Erso, who fans haven’t even spent a week with yet, has been mentioned as a possibility. Although, Daisy Ridley discounts that one, mostly because the chronology doesn’t seem to work out. Something we also pointed out. In the end, while we think Rey’s origin is important, we’ll agree that it’s not as important as the woman she is and who she will become. We’re not simply looking forward to learning where she came from in future films we’re also excited to see exactly what it is she’s going to be doing. What do you think? Is trying to figure out Rey’s history an important mystery, or just something to keep you entertained until Star Wars: Episode VIII comes out?